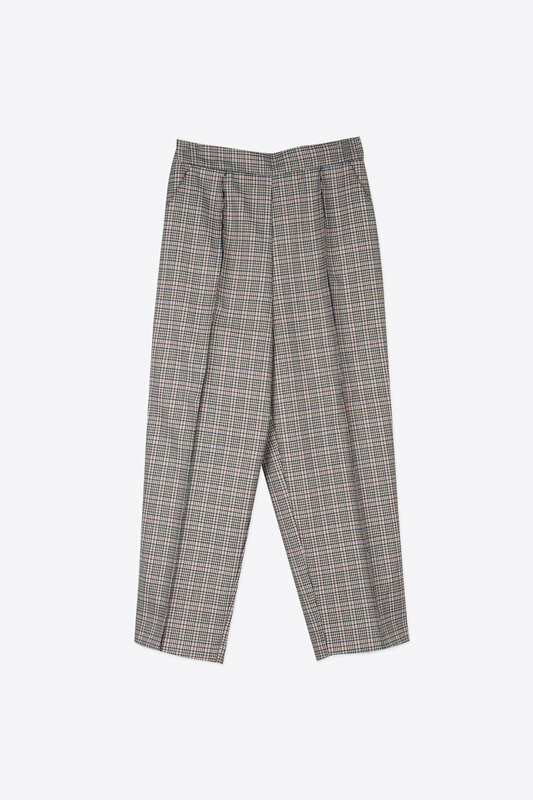 Designed with a tartan plaid pattern, these structured trousers combine casual comfort with a vintage feel. 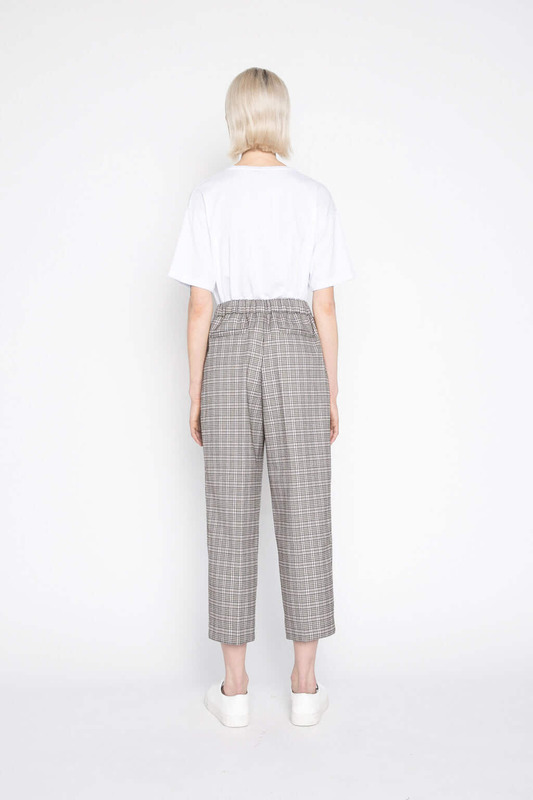 With an elastic waistband, side zipper closure, pleated front design, tapered cropped fit, and side pockets, pair this piece with a simple tee and loafers for a classic look. 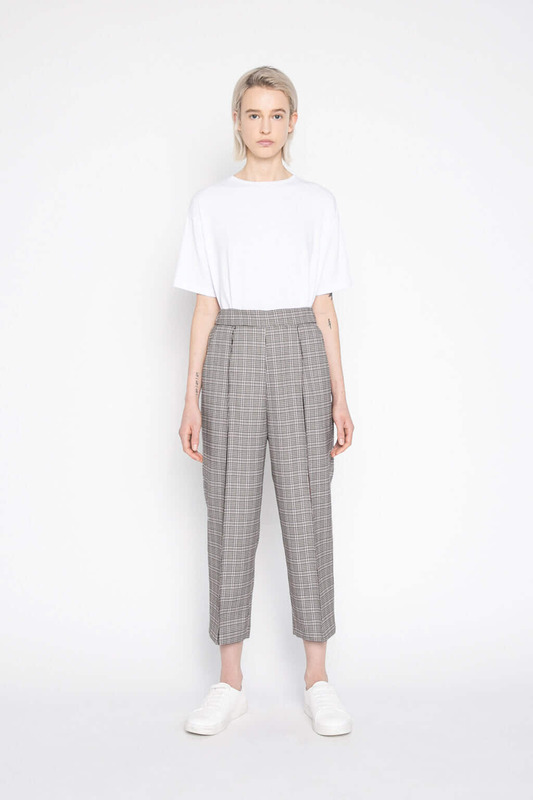 Fabric Content: 78% Polyester, 22% Rayon Care Instructions: Machine wash cold, tumble dry low, or lay flat to dry. Cool iron.